Thank you to our guest blogger Matthew T. McClintock, of Evergreen Legacy Planning, for leading this conversation on cryptocurrency. When bitcoin and the rest of the cryptocurrency markets went parabolic in 2017, suddenly the financial markets and popular culture were captivated by this new class of assets. Many people made – and many subsequently lost – significant wealth when the crypto bubble of 2017 popped. Most of the cryptocurrencies – valuable digital assets that represent alternative forms of money or business equity – have lost at least 80% of their value from December 2018. Some have entirely ceased to exist! Once mainstream news outlets and social media platforms became sources of news about crypto and blockchain in 2017 massive money poured into the markets. Much of what drove the rapid rise in market value of bitcoin and other digital assets was fueled by new investors who wanted a piece of the action. But even as the bubble popped, lots of folks have figured out that the most established cryptocurrencies – again, like bitcoin – continue to trade at 400% of their previous market lows. Many investors still see cryptos as a viable asset class for their portfolios. They understand the volatility, but they see cryptos as an asset class with significant upside potential. Other people with crypto holdings didn’t even acquire them intentionally. Some clients inherit them in a crypto wallet when a loved one dies, and in some cases a divorcing spouse is awarded crypto through a divorce proceeding. However, they’re acquired, cryptoassets present significant challenges for asset custody. Failing to create a clear plan for succession usually results in the assets being irretrievably lost if an investor dies without planning in place. 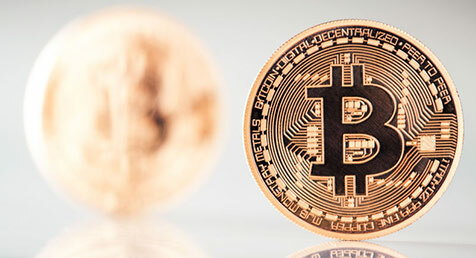 The law is usually murky at best; in most cases laws addressing tax treatment, custody and succession, and transmission of cryptoassets between parties simply don’t exist. Technology remains far ahead of the law. There are significant opportunities for attorneys and advisors who can help clients create strategies for effective custody and transition of cryptoassets. Digital assets – crypto and otherwise – are only going to become a larger and more diverse market. This presents a growth opportunity for attorneys and advisors who can provide help to investors and their families. We are excited to have Matt join us to discuss this topic in more detail during the The Next Frontier: Artificial Intelligence and the New Digital Landscape of Elder Law and the Elder Care taking place in Denver next month. For a limited time, we are offering BOGO tuition. Buy one tuition, get one free! This is a great opportunity to bring a colleague and/or referral source. Complete this registration form and email it back to education@eldercounsel.com to receive your discount. 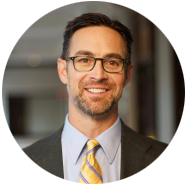 Matthew T. McClintock, JD, TEP is a founding partner of Evergreen Legacy Planning, LLP, a national law firm with offices in Evergreen, Colorado and Newport Beach, California. Matt focuses on the areas of estate planning and long-term trust design & implementation, asset protection, and business planning and succession. Matt is also a founder and a manager of Bespoke Protector Company, LLC, an institutional trust protector company based in Jackson, Wyoming. Matt is a member of the Colorado Bar Association, the American Bar Association–Real Property, Trust & Estate Law Section, and the Society of Trust & Estate Practitioners (STEP-Wyoming chapter), and he speaks and writes frequently on a wide range of estate planning-related topics. Matt holds a Bachelor of Arts degree (Political Science) from the University of Central Oklahoma and a Juris Doctor from the University of Oklahoma College of law (2000). Matt’s professional background includes public affairs, public policy, taxation, trust & estate law, business planning, and estate administration. Matt lives in beautiful Evergreen, Colorado. He and his wife Megan are the proud parents of two amazing daughters, Lauren and Ashten. Matt is an avid cyclist (road and mountain), he enjoys nonfiction reading, writing, and thinking deeply, and spending time exploring Colorado.